^ 櫻井・中西 2010, p. 99. ^ a b c d e f g h i j k 古田 2011. ^ a b c d e f g h 櫻井・中西 2010, p. ⅰ. ^ クリサイディス 1993, p. 39. ^ クリサイディス 1993, p. 40. ^ a b クリサイディス 1993, p. 42. ^ 櫻井 2004, p. 208. ^ a b c d e f g h クリサイディス 1993, p. 43. ^ 櫻井 2004, p. 214. ^ コーワン・ブロムリー 2010, p. 117. ^ a b c d e f 櫻井・中西 2010, p. ⅵ. ^ a b c d 浅見 2012. ^ 櫻井・中西 2010, p. 4. ^ a b c 櫻井・中西 2010, p. 414. ^ a b c d 櫻井・中西 2010, p. 408. ^ a b 中西 2008. ^ a b c d e f g h i j k 櫻井・中西 2010, p. ⅶ. ^ a b c d e 櫻井 2004, p. ⅲ. ^ a b c 櫻井 2004, p. 215. ^ 弓山 2004, p. 203. ^ 櫻井・中西 2010, p. ⅱ. ^ 櫻井・中西 2010, pp. ⅳ-ⅴ. ^ 弓山 2004, p. 201. ^ a b c d 櫻井・中西 2010, p. 4-5. ^ 櫻井 2004, p. ⅵ. ^ a b c d 櫻井・中西 2010, pp. ⅵ-ⅶ. ^ 櫻井 2004, pp. 208-209. ^ 櫻井 2004, p. 212. ^ a b c 櫻井・中西 2010, p. ⅷ. ^ a b c ストーム 1993, pp. 279-282. ^ a b c d e f g h i j k l m n o p q r s t u v w x y z aa ab ac ad ae af ag ah ai aj ak al am ネメシェギ 1985. ^ a b c クリサイディス 1993, pp. 118-119. ^ a b クリサイディス 1993, p. 14. ^ クリサイディス 1993, p. 313. ^ a b c d e f g h 櫻井・中西 2010, pp. 28-29. ^ a b c d e f g 石井 2002. ^ 櫻井・中西 2010, p. 32. ^ a b c d クリサイディス 1993, p. 45. ^ a b c d クリサイディス 1993, p. 49. ^ a b c d e f g h i 櫻井・中西 2010, pp. 34-35. ^ a b c d 櫻井・中西 2010, p. 34. ^ a b クリサイディス 1993, p. 51. ^ a b c d e f 櫻井・中西 2010, pp. 43-44. ^ a b c d e クリサイディス 1993, pp. 51-52. ^ a b c d e f g h コーワン・ブロムリー 2010, pp. 110-111. ^ a b 櫻井・中西 2010, pp. 44-45. ^ クリサイディス 1993, p. 53. ^ a b c クリサイディス 1993, p. 56. ^ a b 櫻井・中西 2010, pp. 51-52. ^ a b c d e f コーワン・ブロムリー 2010, pp. 112-113. ^ a b c d e 櫻井・中西 2010, pp. 47-48. ^ a b c 川瀬 2001. ^ a b 古田 2006. ^ コーワン・ブロムリー 2010, p. 106. ^ a b c 櫻井・中西 2010, p. 33. ^ a b c d クリサイディス 1993, p. 46. ^ a b クリサイディス 1993, p. 47. ^ 櫻井・中西 2010, p. 35. ^ a b c コーワン・ブロムリー 2010, pp. 113-114. ^ 櫻井・中西 2010, p. ⅲ. ^ a b c d e f 榛 2010, pp. 20-21. ^ a b c d e コーワン・ブロムリー 2010, pp. 115-116. ^ 櫻井・中西 2010, pp. 46-47. ^ 櫻井・中西 2010, pp. 49-50. ^ a b c クリサイディス 1993, pp. 58-59. ^ a b c 櫻井・中西 2010, pp. 50-51. ^ a b 櫻井・中西 2010, p. 45. ^ 櫻井・中西 2010, p. 39. ^ 櫻井・中西 2010, pp. 36-37. ^ a b c d e コーワン・ブロムリー 2010, pp. 118-119. ^ a b 櫻井・中西 2010, p. 435. ^ 榛 2010, pp. 18-19. ^ a b c d e f g h i j k l m n o p 米本 2010, pp. 62-69. ^ a b クリサイディス 1993, p. 155. ^ a b 櫻井・中西 2010, pp. 70-71. ^ a b 櫻井・中西 2010, pp. 414-415. ^ 櫻井・中西 2010, p. 104. ^ a b クリサイディス 1993, p. 156. ^ クリサイディス 1993, p. 44. ^ a b c d クリサイディス 1993, p. 159. ^ クリサイディス 1993, p. 157. ^ クリサイディス 1993, p. 158. ^ a b c d クリサイディス 1993, p. 160. ^ クリサイディス 1993, pp. 160‐161. ^ a b c d e f g h クリサイディス 1993, pp. 21‐22. ^ a b c d e 櫻井・中西 2010, pp. 78-79. ^ 櫻井・中西 2010, p. 47. ^ コーワン・ブロムリー 2010, p. 107. ^ コーワン・ブロムリー 2010, p. 104. ^ a b c d e f 櫻井 2005. ^ a b ワーコン・ブロムリー 2010, pp. 116-119. ^ 米本 2010, p. 71. ^ a b c d コーワン・ブロムリー 2010, pp. 123-125. ^ a b c d e f g h i コーワン・ブロムリー 2010, pp. 120-125. ^ a b c d e f コーワン・ブロムリー 2010, pp. 116-117. ^ a b c 米本 2010, pp. 75-77. 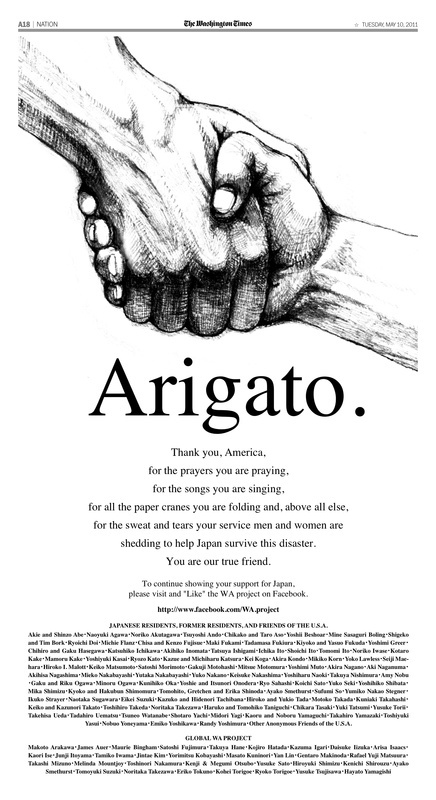 ^ a b 米本 2010, pp. 74-75. ^ 「印鑑買わねば命なくなる」と印鑑販売の疑い 統一教会を捜索 警視庁（産經新聞ニュース） Archived 2009年6月14日, at the Wayback Machine. ^ a b c d e 米本 2010, pp. 70-72. 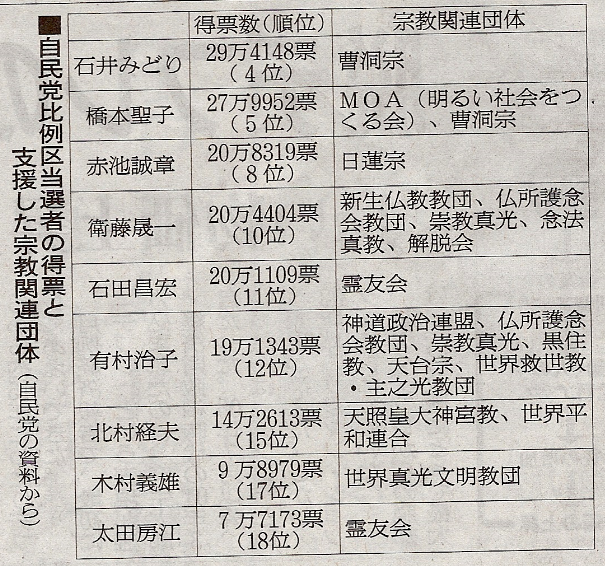 ^ 統一教会が2億3000万円で示談　千葉の女性と（MSN産経ニュース） Archived 2009年12月27日, at the Wayback Machine. 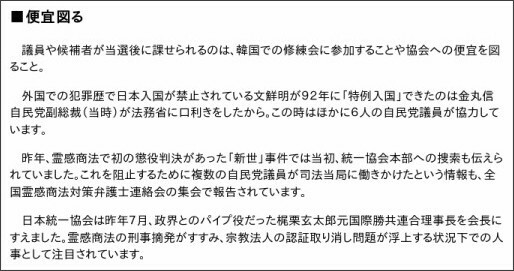 ^ 信教の自由レポート2006 (International Religious Freedom Report 2006), (オーストリア), released by the Bureau of Democracy, Human Rights, and Labor, United States Department of State. "The vast majority of groups termed "sects" by the Government were small organizations with fewer than 100 members. Among the larger groups was the Church of Scientology, with between 5,000 and 6,000 members, and the Unification Church(世界基督教統一神霊協会), with approximately 700 adherents throughout the country. Other groups found in the country included Divine Light Mission, Eckankar, Hare Krishna, the Holosophic community, the Osho movement(オショウ), Sahaja Yoga, Sai Baba(サティヤ・サイ・ババ), Sri Chinmoy(シュリ・チンモイ), Transcendental Meditation, Landmark Education(ランドマーク・エデュケーション), the Center for Experimental Society Formation, Fiat Lux, Universal Life, and The Family(ファミリー・インターナショナル)." ^ Enquête Parlementaire visant à élaborer une politique en vue de lutter contre les practiques illégales des sectes et le danger qu'elles représentent pour la société et pour les personnes, particulièrement les mineurs d'âge. Rapport fait au nom de la Commission d'enquête par MM. Duquesne et Willems. Partie II. [Parliamentary Inquiry with the aim of detailing a policy for combating the illegal practices of cults and the danger they represent for society and for people, especially minors. Report made in the name of the Commission of Inquiry by Messieurs Duquesne and Willems. Part 2.] available online -- bilingual report in French and Flemish, retrieved 2007-01-08. ^ Rũhle (ed. ), Anne; Ina Kunst (December 1997) [October 1994] (ドイツ語). "Sekten": Risiken und Nebenwirkungen: Informationen zu ausgewählten neuen religiõsen und weltanschaulichen Bewegungen und Psychoangeboten. [Cults: Risks and Side-effects. Information on selected new religious and world-view Movements and Psycho-offerings]. 1 (2nd ed.). Senatsverwaltung für Schule, Jugend and Sport. [Senate Administration for School, Youth and Sport]. http://www.ariplex.com/ama/amasenat.htm 2007年2月6日閲覧。. Matczak, Sebastian, Unificationism: A New Philosophy and World View (Philosophical Questions Series, No 11) (1982) New York: Louvain. The author is a professor of philosophy and a Catholic priest. He taught at the Unification Theological Seminary. Barker, Eileen, The Making of a Moonie: Choice or Brainwashing? (1984) Blackwell's, Oxford, UK ISBN 0-631-13246-5. Bromley, David G. (September 1985). “Financing the Millennium: The Economic Structure of the Unificationist Movement”. Journal for the Scientific Study of Religion, Vol. 24, No. 3 (Sep., 1985), pp. (Blackwell Publishing on behalf of Society for the Scientific Study of Religion) 24 (3): 253–274. JSTOR 1385816. Chryssides, George D., The Advent of Sun Myung Moon: The Origins, Beliefs and Practices of the Unification Church (1991) London, Macmillan Professional and Academic Ltd. The author is professor of religious studies at the University of Wolverhampton, United Kingdom. Hong, Nansook, In the Shadow of the Moons: My Life in the Reverend Sun Myung Moon's Family. Little Brown & Company; ISBN 0-316-34816-3; (August 1998).